Motherwell travel to Dens Park on Saturday eager to add to the point earned against Rangers last weekend. Dundee have lost all three league matches and our aim will be to extend their winless run. All the Dees’ defeats, against St Mirren, Aberdeen and St Johnstone, came by a single goal and the meeting with their Tayside rivals in the Fair City saw then booed of the pitch. A League Cup exit at the hands of Ayr added to their woes. Is it too early to suggest that the manager's jacket hangs on a shooglie nail? 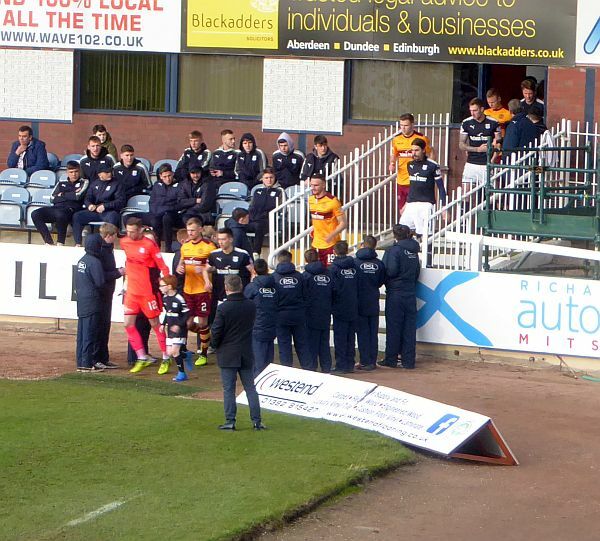 A Motherwell win may prove to be a tipping point. Spirits at Dens will have been lifted by the tenth summer signing to Neil McCann's squad. Kenny Miller, who faced us a fortnight ago in the black and gold of Livingston, is hoping to face us this time in the dark blue of Dundee. If the much talked of transfer of Craig Wighton to Hearts is confirmed it would be no surprise if the fee is spent on a few more players before Friday’s deadline. Dundee fans fear that they are vulnerable in both full-back positions and that weakness will be known to Stephen Robinson and Keith Lasley. That may indicate a possible start for Elliott Frear with Chris Cadden balancing on the other wing. We made use of all four strikers in the last match and the manager may again start with Johnson and Main with Bowman and Sammon in reserve. We had a successful haul last season against Dundee. Four wins and a draw were gratefully received and in the three games on their patch we did not concede. Of more importance will be the team’s determination to start the game with the same level on intensity that brought us our first point. If the players are up for the task we should come home happy with the first win of the campaign – 2-0. Remember our last trip to Dens Park?